Greetings from Rome! I can’t believe I am actually writing this! Rome is a place I have wanted to visit for so long and in fact Italy itself has been on my must visit list of countries for as long as I can remember. Last year I set myself a challenge of doing something crafty every day during the 8 week long summer holiday from school in a bid to maintain my sanity. This year I decided to do the same, although I am actually doing it theoughout the whole of July and August. 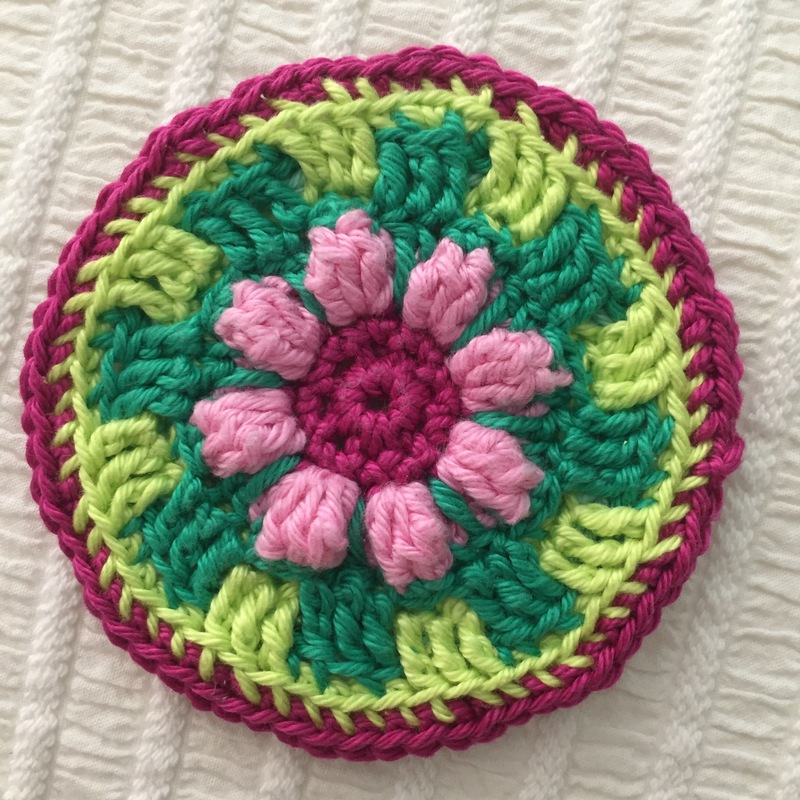 Here’s the sixth installment of my summer craft challenge for 2017. We arrived back at home in Gibraltar after our lovely holiday in Portugal today. 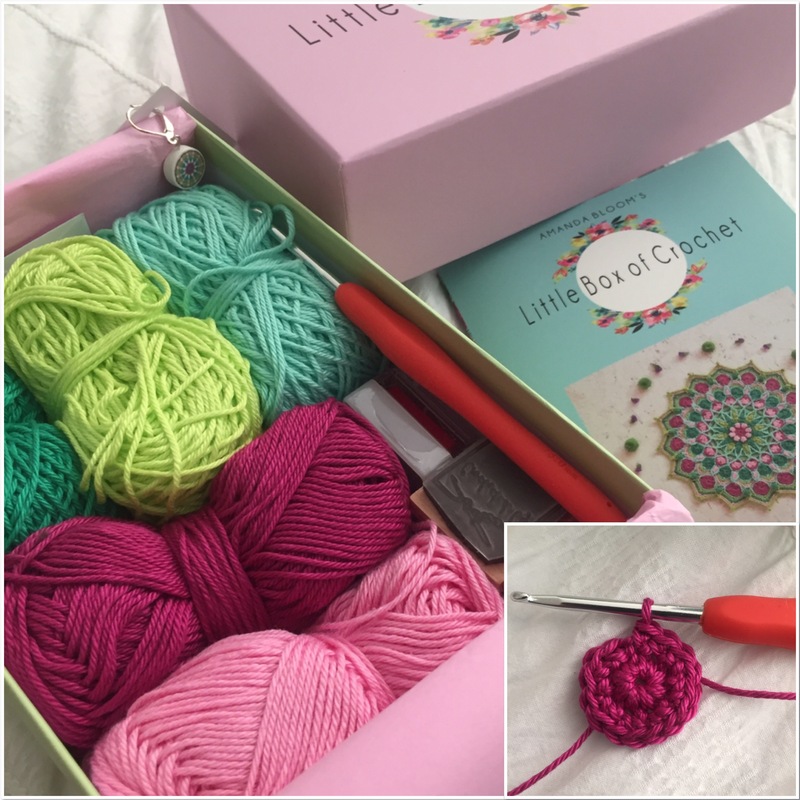 After completing my Little Box of Crochet Blue Sky Hug scarf while away on holiday, I thought it appropriate to crack open another Little Box of Crochet and begin something new; Jenny’s Mandala, named after the daughter of Amanda Bloom (creator of Little Box of Crochet), who sadly passed away earlier this year. I have been itching to get started on this since it arrived! I’m back in the land of the living again today thankfully and human enough to pick up my hook again. 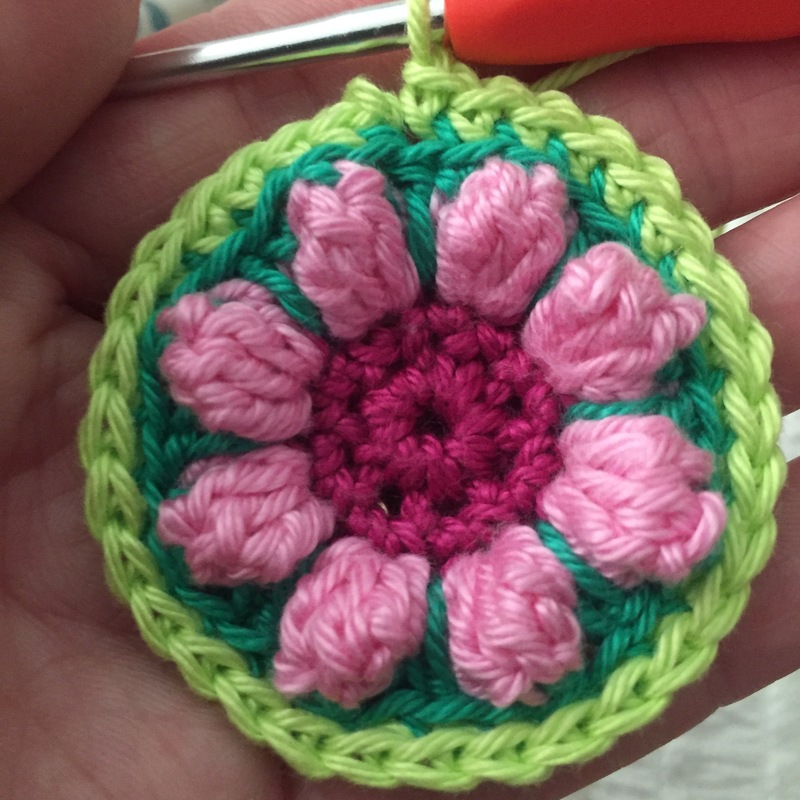 Ooh this is a fun project, considering how long I’ve spent doing it, it’s very small, but that doesn’t matter! 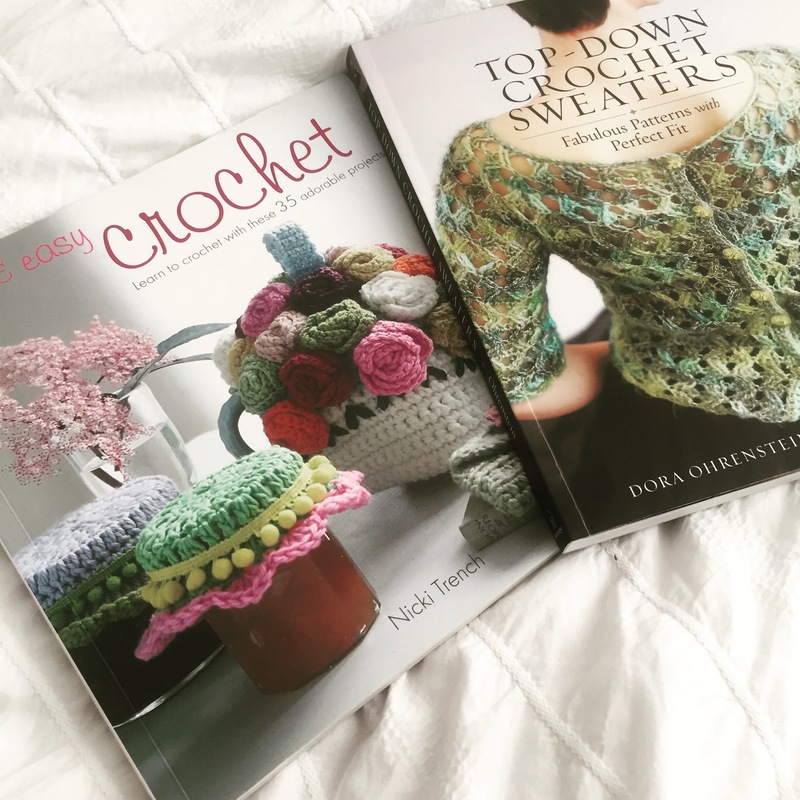 I am totally addicted to this pattern, I just can’t put it down as I want to see what the next row brings. Sadly I have to as the Little Postcards need feeding and housework has to be done! 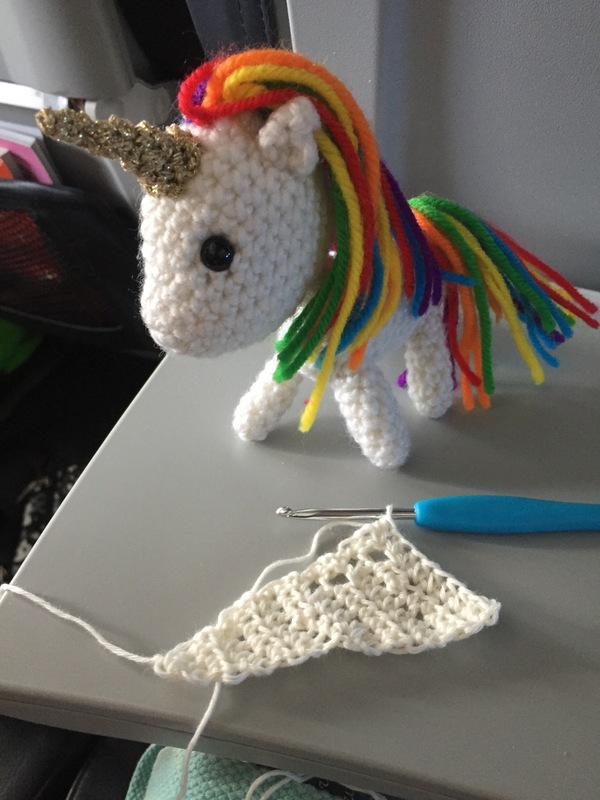 No Mandala today I’m afraid, but Europa the Unicorn has come with me and my crochet hook on another flight…. to Rome! It’s a place I’ve wanted to visit for so long and I’m thrilled to be here 😊. My Fitbit tells me I have walked over 20,000 steps around the streets of Rome and the Vatican City today. My word I’m worn out! 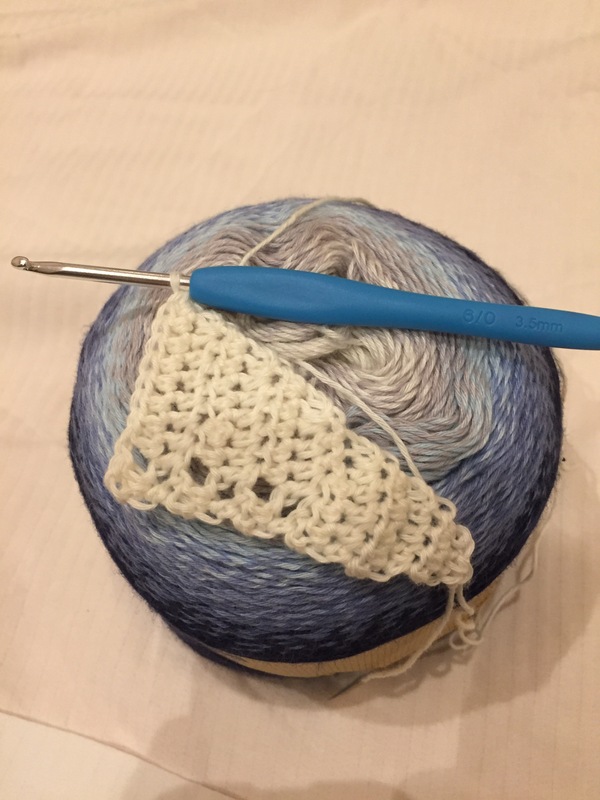 Could only muster a solitary row of Crochet this evening on my Scheepjes Whirl shawl. Poor show, but I’m off to bed, night night! I’m impressed you have managed much more craftyness than I have all summer. Hopefully the next two weeks will give me more of a chance to catch up. 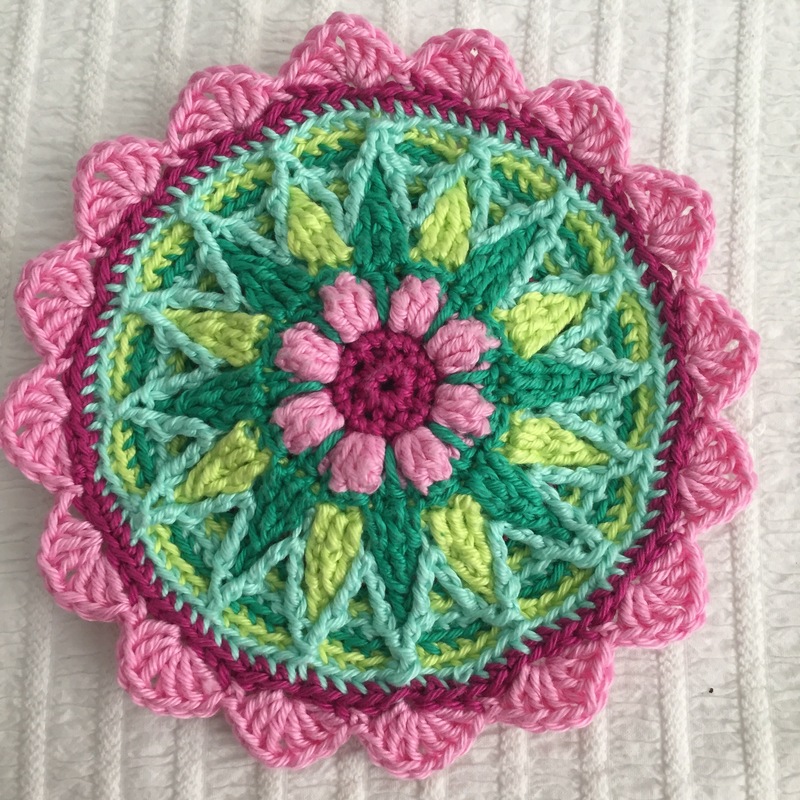 I do love that mandala pattern! So beautiful! I can see why you are addicted! What a great memento from your Roman holiday!